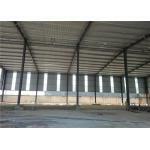 Industrial Shed Design Light Frame Steel Structure Prefabricated Workshops Product Description 2. 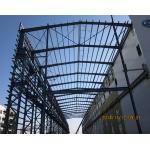 Specification Items Specification Main Steel Frame Column Q235, Q345 Welded H Section Steel Beam Q235, Q345 Welded H Section Steel Secondary Frame Purlin ... Qingdao KaFa Fabrication Co., Ltd.
High Earthquake Rresistant Mordern Design Steel Structure Workshop Project name: Lanshi chemical Industrial workshop Dimension: 128*76*15m(length*width*height Wall: 0.5MM V820 steel corlor sheet+100mm glass wool+0.4mm steel corlor sheet Roof: 0.5mm V820 ... Qingdao KaFa Fabrication Co., Ltd.
Construction Design Customize Prefabricated Light Weight Portale Frame Steel Workshop When you want to build a prefabricated steel structure building, we can provide many options. 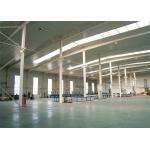 You can choose from one of our existing building designs or we can ... Qingdao KaFa Fabrication Co., Ltd. 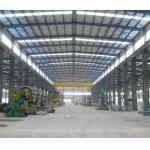 Customized Prefabricated Industrial Chemical Steel Frame Steel Structure Workshop When you want to build a prefabricated steel structure building, we can provide you with many options. 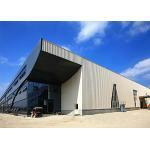 You can choose from one of our existing building designs or we can ... Qingdao KaFa Fabrication Co., Ltd. Customized Prefabricated Industrial Heavy Large Span Metal Structure Steel Workshop VIP Service: When you want to build a prefabricated steel structure building, we can provide many options. 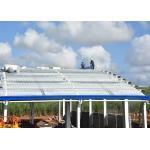 You can choose from one of our existing building designs. 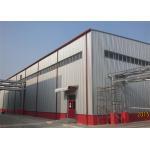 Or we ... Qingdao KaFa Fabrication Co., Ltd.
Low Cost Pre-engineered Construction Design Customized Multi-storey Steel Workshop VIP Service: When you want to build a prefabricated steel structure building, we can provide many options. 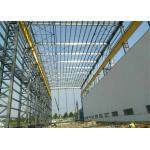 You can choose from one of our existing building designs. 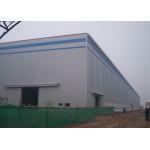 Or we ... Qingdao KaFa Fabrication Co., Ltd.
Pre-engineer Construction Design Steel Frame Prefab Steel Structure Workshop Project name: LT77 warehouse building Client: BOMA GROUP Content: Structural steel, cladding, windows, doors etc. 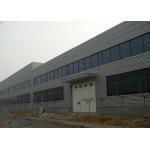 Quantity: 1500sqm warehouse + 240sqm office Total value: 158,000... Qingdao KaFa Fabrication Co., Ltd. 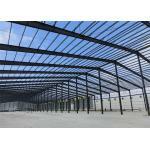 When you want to build a prefabricated steel structure building, we can provide you with many options. 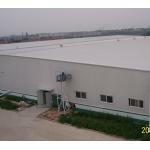 You can choose from one of our existing building designs or we can customize one of our steel frame building designs to meet your unique specifications.... Qingdao KaFa Fabrication Co., Ltd.
Construction Precoated Roofing Sheets Prefabricated Steel Frame Warehouse In Philippines Technical Parameters as follows: 1. 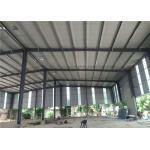 Primary structure frame: Welded or Hot-rolled H section steel made in material Q345B (Equivalent to A572 Gr50); Ball blasting Sa ... Qingdao KaFa Fabrication Co., Ltd.
Zinc Coloured Corrugated Sheets Roof Design Philippines Steel Structure Workshop Technical Parameters as follows: 1. Primary structure frame: Welded or Hot-rolled H section steel made in material Q345B (Equivalent to A572 Gr50); Ball blasting Sa 2.5, hot-... Qingdao KaFa Fabrication Co., Ltd.
High Quality Prefabricated Heavy Lattices Steel Structure Workshop with Crane When you want to build a prefabricated steel structure building, we can provide you with many options. 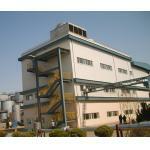 You can choose from one of our existing building designs, or we can ... Qingdao KaFa Fabrication Co., Ltd. 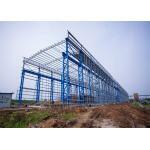 Stable Structural Steel Frame Construction Prefabricated Warehouse Buildings Characteristics: 1. 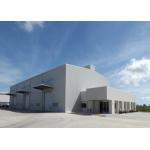 Cost savings: cheap to manufacture, requires less maintenance than other traditional building methods. Moreover, 98% of all steel structure can be recycled ... Qingdao KaFa Fabrication Co., Ltd.
Portal Frame Prefabricated Steel Structure Warehouse Fabrication Engineer Design Construction class: Simple Steel Construction Main structure Single span: L -shorter than 18m, H -lower than 6m Maintenance system Roof Colored sheet with 50mm glass wool ... Qingdao KaFa Fabrication Co., Ltd.
Construction Frame Design Prefabricated Structural Steel workshop Advantages : 1) Economice price,flexIble design. 2) Heat insulation. 3) Long service life: The components of structure can be used repeatly, so its designed life span can reach up to more ... Qingdao KaFa Fabrication Co., Ltd. Custom design mould proof prefabricated construction steel frame warehouse with office and steel stairs Type of Portal Frame Portal frame is lightweight house structure system,main body with H shape steel,applying light gauge cold-formed steel shape as ... Qingdao KaFa Fabrication Co., Ltd.
Semi-gloss surface treatment australian airport flat bar steel balustrade fabrication Project name: Australian airport steel post Paint: Epoxy rich zince (30%) primer, Epoxy mio barrior paint, Polyurethane top paint. DFT300um Content: Balustrade and ... Qingdao KaFa Fabrication Co., Ltd.
Easy Install Steel Structure Construction Insulated Prefab Warehouse Shed Characteristics 1. Enviromental friendly 2. Lower cost and maintenance 3. Long using time up to 50 years 4. 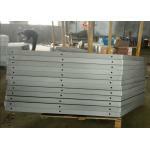 Stable: the earthquake resistance up to 9 grade 5. 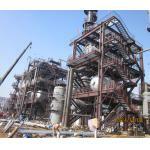 Fast construction, ... Qingdao KaFa Fabrication Co., Ltd. Customer: Supper unic way 1 Dimension: 48*40*(4.8~7.5)m 2 Roof panel: 0.7 PPGI seablue Color sheet +100mm glass wool+0.4 PPGI whitegrey color sheet 3 Surface treatment: Epoxy rich zinc primer+ Epoxy mia barrior middle paint, DFT 75um 4 Wall: Concrete 5 ... Qingdao KaFa Fabrication Co., Ltd.